Superior NetProbe Drive Test tools provided via Comtest Wireless partner Orbitel, enable Huawei Turkey to gain acceptance from Turkish State Rail Operator, TCDD and Teknotel Enerji Telekomünikasyon A.Ş. Comtest Wireless, independent experts in the field of GSM-R and ERTMS test and monitoring solutions, announce that its NetProbe Drive Test solution has been instrumental in enabling Huawei to gain acceptance for the new KSC line by Turkish State Rail Operator, TCDD. Turkey’s KSC line is a conventional line for passenger and freight traffic between the major cities of Kayseri, Sivas and Çetinkaya. The need for continuous GSM-R coverage, even in tunnels and over mountainous terrain, presented some challenges to well-established GSM-R vendor, Huawei, who was selected to design and implement the SDH transmission and GSM-R components of the KSC project. To gain acceptance, the Huawei Turkey GSM-R delivery project team needed to demonstrate both the continuous GSM-R coverage and that all necessary rigorous rail industry standards and EIRENE specifications were met. 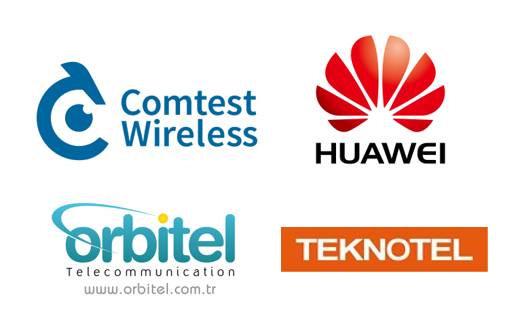 This is why project managers, Huawei Turkey contacted local Comtest Wireless partners, Orbitel. Franco De Fazio, International Sales Manager at Comtest Wireless says “we supplied a trolley-based NetProbe Drive Test solution along with full training and technical support to the project team. This enabled Huawei Turkey to run customised, automated GSM-R tests every 100m along the line, use the post-analysis tool to identify potential issues and view multiple synchronous data displays (making it easy to track handover events and coverage performance etc). Mr. Erhan Yavuzarslan, Project Manager of Huawei Turkey says “The KSC line is a significant milestone for Turkey and we are delighted it has received acceptance.